Your agents can use custom busy statuses. Availability is also managed automatically in real-time. Through the integration platform, your admins can control every aspect of what lands in tickets and what happens on any other API, including in your own internal systems. 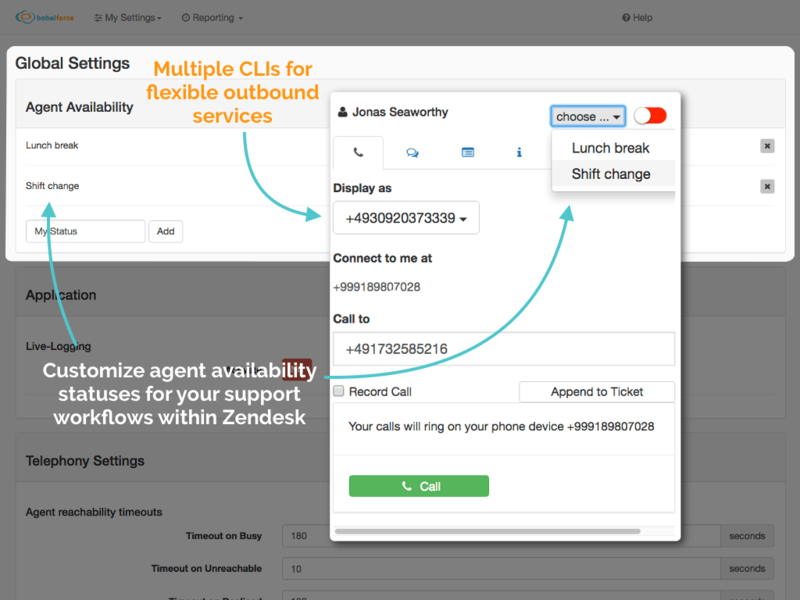 Use advanced Zendesk CTI and Zendesk API capabilities. 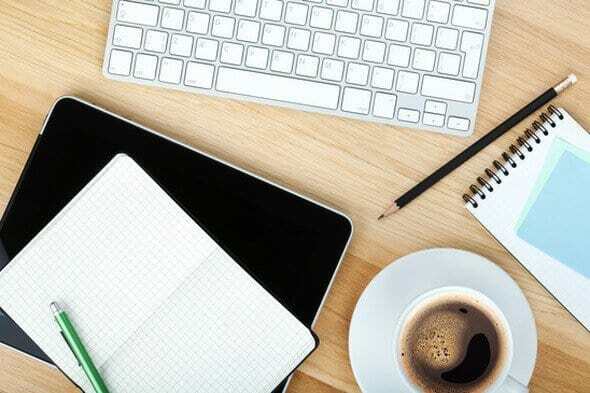 You have the right screen pop appear for agents for every type of call: pop-up data for automated outbound calls and screen pops of contact and ticket or CRM history for inbound calls. 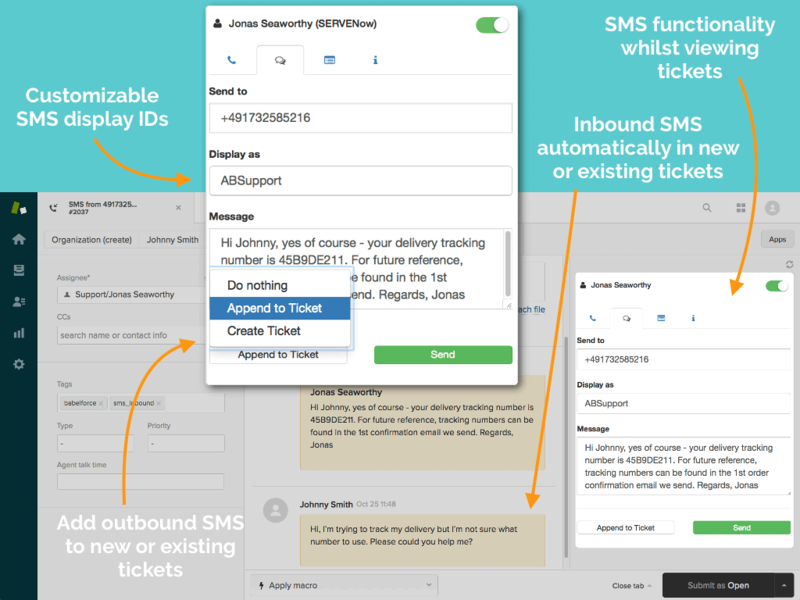 Your agents can get inbound SMS messages straight into tickets, then send and append all messages to the save ticket. 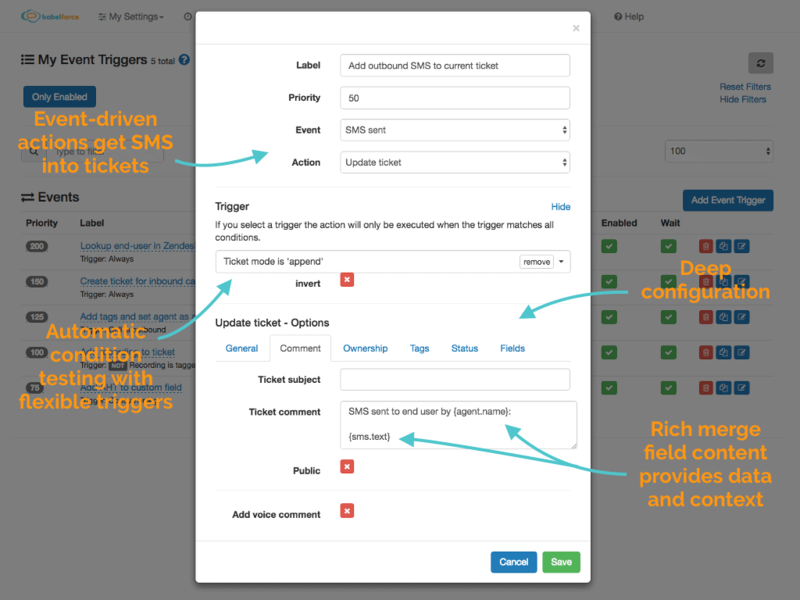 You can use babelforce conversation management to decide how to keep track of SMS dialogs with customers and how to update these to tickets. 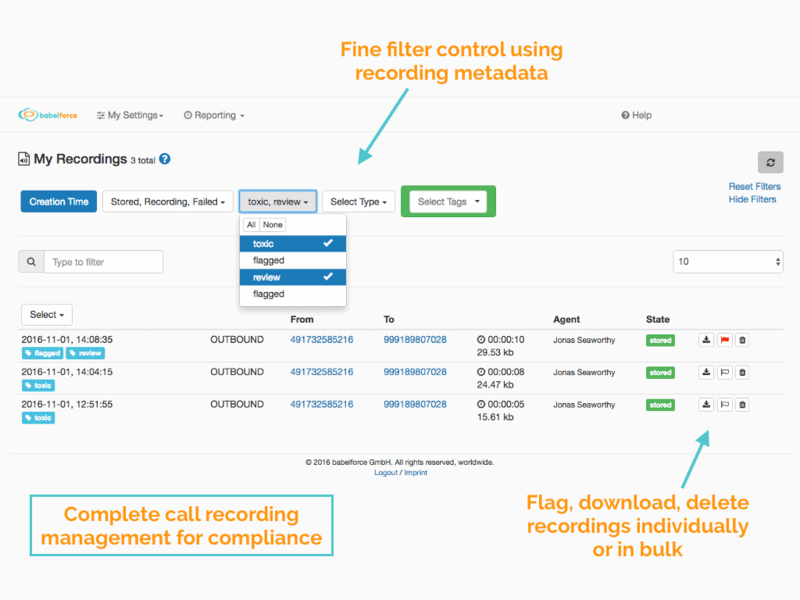 Agents can stop and start recordings and add your custom tag metadata to support both compliance and contract closure processes. 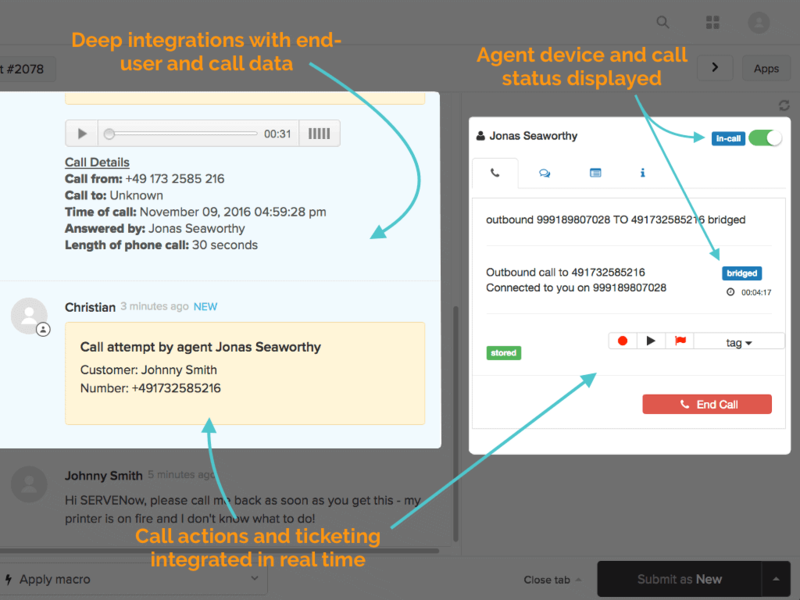 Your admins can define exactly which calls are recorded and the functionality available to agents. 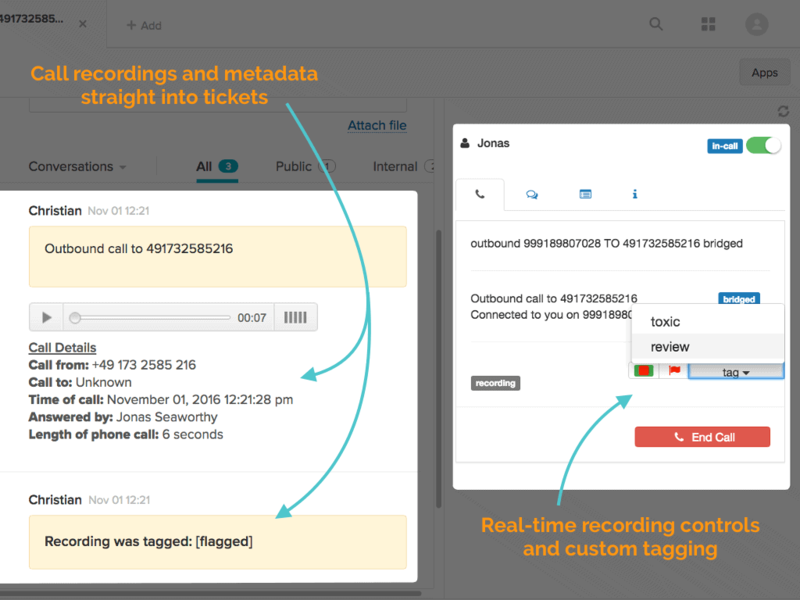 Admins can also locate recordings using metadata for review, deletion and other processing of call recordings.